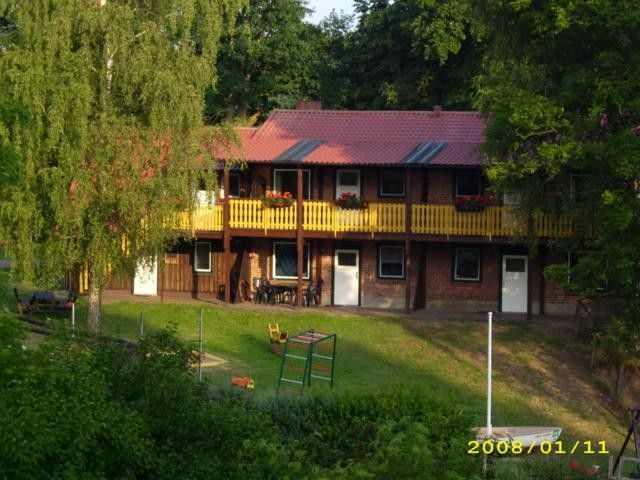 Natural beach, Riding, Big playground, sauna, 2 bedrooms, up to 6 people. Our apartment is located on the Sturgeon with stunning views of the Störtal. The 50 square meter apartment each with a balcony or terrace on the parents can relax while watching their children on the playground before playing. They are equipped for 4 people with two separate bedrooms (with children may, after consulting the persons to be exceeded), a bathroom, a living room with satellite TV and radio disc player. Coffee and kettle, plenty of crockery, pots and other accessories. Microwave and special requests are possible. Relaxing feeling of country life. We are a family of five. Had a pleasant stay here surrounded by beautiful scenery and a varity of animals being well looked after. The host were very friendly and helpful. We would love to come back. Gäste die jederzeit wieder bei uns willkommen sind. Wir hatten eine schöne Zeit! Leider viel zu kurz! Unser 3Jähriger schwärmt noch immer von der Fahrt auf dem Traktor! Vielen Dank nochmal für die Zeit! Hier kommen jung und alt definitiv nicht zu kurz!